This section of the Web Help Desk tech training introduces basic terms and provides instructions for logging in, logging out, and editing your tech profile. Use this material as it is, or copy and revise it to reflect your organization's practices and Web Help Desk configuration. What is Web Help Desk? Web Help Desk is a web-based automated ticketing solution that helps you manage your IT support requests for both internal and external clients. Use Web Help Desk to create and manage tickets through the web console. It also supports email ticket creation, automatic ticket assignment and escalation, asset management, and incident and problem management. The following terms define the roles and objects managed by Web Help Desk. Tickets: Support requests that are opened through and managed within Web Help Desk. Tickets can be initiated through email, created in the Web Help Desk console, or imported from another application. Clients: End users or customers who can open tickets in Web Help Desk. Clients can enter tickets through email or through the Web console. Techs: Web Help Desk users who troubleshoot and resolve tickets. Techs can also enter tickets. For example, when a client calls the IT Help Desk, the tech opens a ticket on the client's behalf. In addition, techs can open tickets that are not associated with a client, such as tickets to schedule routine maintenance or system upgrades. Admins: Techs with privileges to configure Web Help Desk. Tech Groups: A group of techs with similar skills and expertise. Request Types: A classification that identifies the type of support request. Request types are used to automatically assign tickets to the appropriate tech group. 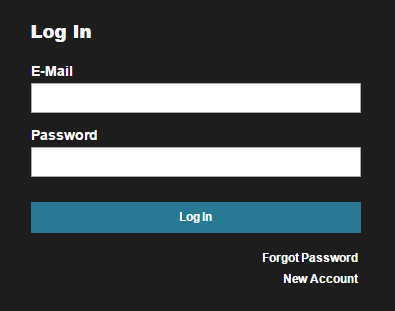 Enter your login ID and password, and then click Log In. Web Help Desk sessions last for 120 minutes. After this period, the session expires and you must log in again. Click the Help button in the Web Help Desk toolbar to open the Web Help Desk administrator guide. Get information about a specific item by clicking the Help button next to that item. Or click the information icon. Hover over icons and some column headings to display additional information. For example, on the Ticket History tab, hover over any icon on the right side to display information. The person icon displays the logic used to assign the ticket to this tech. Click the Log Out button in the upper-right corner, next to your name. Your tech profile includes contact information (such as email and cell phone) and preferences. Edit your tech profile to add or update information. Click the gear icon in the upper-left corner to open your profile. Click the pencil icon to enter edit mode. Verify that your contact information is correct. To be able to access the Web Help Desk interface that a client sees, select a client in the Linked Client field. If a demo client is available, select the demo client. When you link your account to a client account, the Switch to Client Account icon is available in the upper-right corner. Enter the SMS address (for example, 18005551234@tmomail.net). Click the information icon for the address formats of major carriers. Specify the minimum priority and alert level for notifications. In the following example, notifications are sent only when the priority is Urgent and the alert level is 2 or higher. Update other preferences as needed. Click the information icon for details about any field.